The Illinois Student Assistance Commission (ISAC) has a variety of resources available to help make the dream of higher education attainable for more students than ever before. 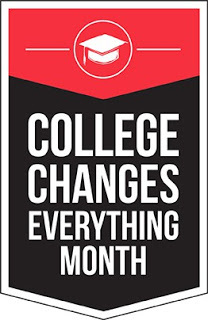 ISAC developed CCE Month to help students file timely applications for both college admission and financial aid. October 1 is now the federal government’s release date for the Free Application for Federal Student Aid (FAFSA)—the key to securing aid for college, including the federal Pell Grant and the state MAP Grant, plus work-study opportunities, federal student loans, and even grants from the colleges themselves. There’s always a lot of demand for limited state- and school-based financial aid, so students seeking support for the 2019-20 academic year should file their FAFSAs as soon as possible after October 1, 2018, for the best chance of getting funding. On that date, the U.S. Department of Education also plans to unveil the myStudentAid Mobile App, making the application more accessible to students and families whose primary Internet access is through a smartphone. Many of these workshops are conducted by the ISACorps, a group of recent college graduates whose intensive training prepares them to assist students with planning, applying, and paying for college. Based in locations across Illinois, Corps members are also available to help you one-on-one, year-round, as they navigate the college search, application, and financial aid processes. Contact information for local ISACorps members is at studentportal/isac.org/isacorps.